With Our Designer's Careful Design, Winmi Office Chair throws off distinctive temperament from every details: Ergonomic idea, Random adjustment, fashion outlook, safety gurantee, breathable imported mesh as well as its environment-friendly material which on the other side makes your office more innovative and ever lead new fashion trend of the office environment,thus it worth to buy one no matter for home worker or for your office. 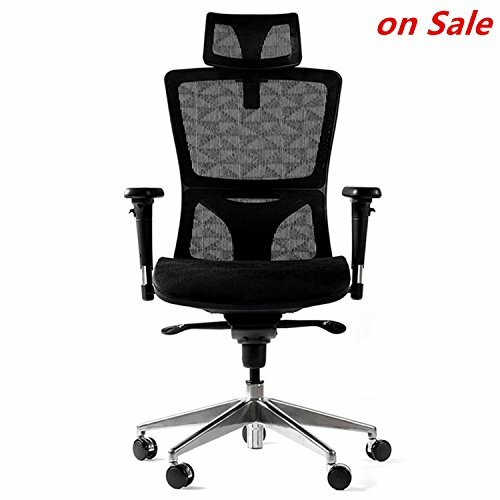 It is Made from the Idea of Ergonomic Design of 2005 and then invented by our professional teamwork, it fits our bodywell and popular in the world. Makes your body breath whole day and possess heavier bearing as well as easier to be washed, what?¡¥s more it also makesthe chair noble and fashion. All of chairs passed BIFMA TEST as well as SGS TEST for its gas spring which convenient for using. 1,We offer a 30 day no questions asked money back guarantee and welcome suggestions on improving our products. 2,We offer 5 years free Fittings to our customers who bought chair from us. 1.Please kindly contact us if the packaging suffers from a little travel sickness for the long adventurous journey. 2.We will try our best to keep you original product packaging and provide warranty repair at all possible. Ergonomic Design: Ergonomic design of lift height adjustable headrest, chair back lifting function,elastic waist lumbar pillow care and its sturdy legs increase safety and stability. Simple Installation: Easy to be washed and easy assembly upon arrival 330 Lbs max weight capacity. The instructions are very easy to follow, you just need to count a few screws and bolts, you can assemble it.